EXCELL announces that SENAO International Co., Ltd, the largest distributor for handheld devices in Taiwan with integrated marketing of consumer electronic products, has adopted EXCELL Scale-IoT Solutions for smart warehouse management. 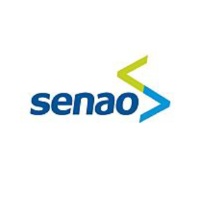 SENAO will use EXCELL Scale-IoT® solution for warehouse management, inventory management, electronic data interchange (EDI), and tracking. In the era of digital products being the best sellers in the market, smartphones, tablets and digital appliances have become the primary products purchased by customers. Seeing such a trend of digital convergence, SENAO International has actively developed a new generation of digital services. Creating a smart warehouse can greatly improve operational and systems efficiency. "Today's warehouse is far more than just a facility in which to store inventory. Leveraging the Internet of Things (IoT), a smart warehouse can now serve as a hub to boost efficiency and speed throughout the entire supply chain." said C.C. Lo, President and CEO at EXCELL. "Investing in IoT Technology is a process in the creation of the modern smart warehouse. EXCELL Scale-IoT® solution can reduce the use of manual labor, increasing speed and shipping accuracy, and offer retailers an opportunity to obtain unparalleled visibility into inventory and supply chains," said Jeff Chien, Vice President of Global Sales & Marketing at EXCELL. On the ground in the warehouses, it’s important for workers to have the right kind of devices to collect and interact with the data streams coming from connected devices. In this case, the connected devices are EXCELL scales, with Ethernet/Wi-Fi/BLE connectivities to the internet. SENAO International is now implementing EXCELL Scale-IoT® solutions all over it's warehouses in Taiwan, enabling a ripple effect by reducing costs and speeding up the movement of goods from warehouses to stores and consumers.